The new album is out. “Full Circle” is a cd/ dvd set from Great White, produced by Michael Wagener (Great White, Dokken, Metallica & many more). 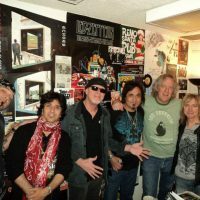 Here’s the interview Max Volume did on air at KOZZ.